Vaclav Havel, Returning To Drama With 'Leaving' The former Czech president, who made his name first as a playwright and then as a leading political dissident, sees the U.S. premiere of his latest stage work in Philadelphia May 26. The central character? A politician who has trouble giving up the perks of power. Re-Election Or Bust: In the American premiere of Vaclav Havel's Leaving, Oscar-nominated actor David Strathairn plays a retired head of state who has trouble letting go of the perks of office. Before he became president of what was then Czechoslovakia in 1989, Vaclav Havel was one of the most respected playwrights in the world. Now, more than half a decade after he left office, he's published a new play -- his first in nearly 20 years. Leaving is about the leader of an unspecified country who steps down after many years in power, but Havel insists it's not autobiographical. He began writing the play in the 1980s, long before the fall of communism in Czechoslovakia. "When the Velvet Revolution came along, I forgot about the play," he says. As first a leading dissident, then the new president of a country shrugging off the Warsaw Pact and turning toward the West, "I had completely different worries and responsibilities -- and I thought I'd just tossed it out." Rieger: So, you're a political scientist? Bea: Yes. But I've taken a couple of terms of multicultural socio-psychology and intermedia communications. Rieger: May I ask what your name is? Bea: Weisenmuttelhofova. Beatrice Weisenmuttelhofova. But you can call me Bea, Mr. Chancellor. Rieger: Delighted. But I'm no longer chancellor. Bea: For me you will always be chancellor, Mr. Chancellor. "Some small details from my life found their way into my play, but on the whole the play has nothing in common with my own departure," Havel says. "And also the main character, I hope, is quite different from me." Indeed, Rieger turns out to be more clown than hero. 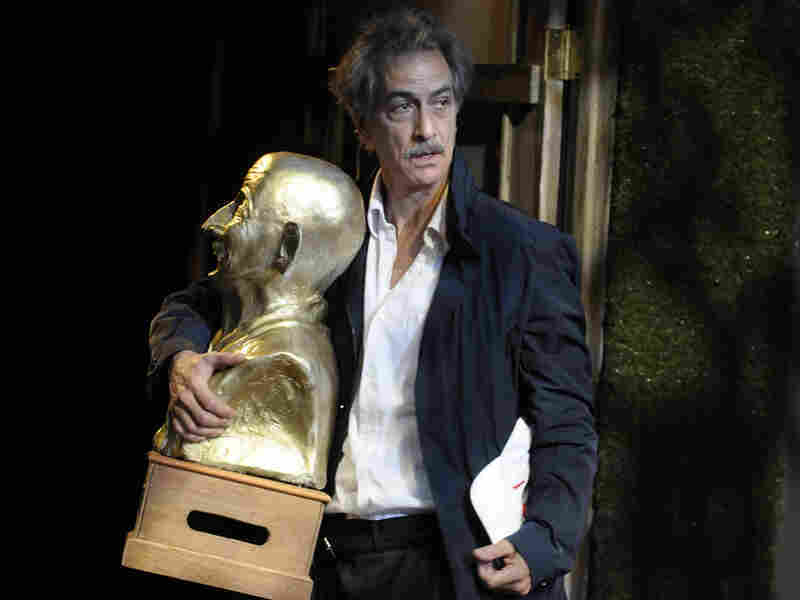 He's played in the play's U.S. premiere -- running at the Wilma Theater in Philadelphia through June 20 -- by David Strathairn, best known for his starring role in the film Good Night and Good Luck. "Havel calls it a tragedy," Strathairn says. "But every time people come to a read-through or watch a little bit of rehearsal, they're laughing." Bea: Is this from your orchard? Rieger: No, my daughter brought them. We just have a cherry orchard. Havel brought the same wry sense of humor to his career in politics. He was famous in the West for riding a scooter through Prague Castle, meditating with the Dalai Lama and generally appearing to enjoy his job. But where the character Rieger clings to power and its trappings, Havel says he was glad to leave the presidency after 13 years. "I felt that a huge weight had fallen from my shoulders," he says. "I don't mean to make light of it, or say that it was only a burden. On the contrary, it was not just a burden but a gift of fate, because the whole world was transformed -- and I was able to be at the center of the action, and even have an influence on that action, and that's hardly an everyday occurrence." 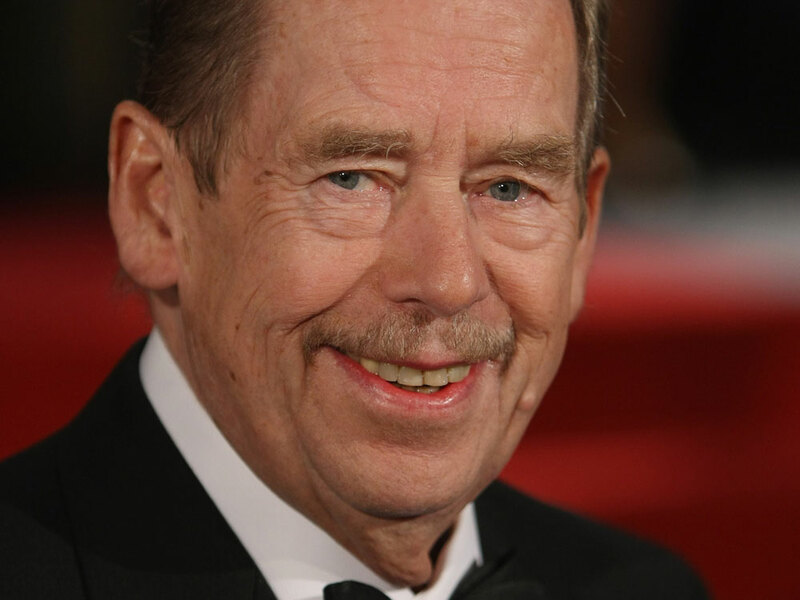 Havel was born into an upper-class family in Prague. He was banned from going to college after the Communist Party came to power, so he worked his way up in the theater. Jiri Zizka, who's directing the Wilma Theater's production of Leaving, grew up seeing Havel's plays in Czechoslovakia. Havel, who made his name first in the theater, then as a vocal political dissident, served as president of Czechoslovakia from 1989 to 1992 and as president of the newly formed Czech Republic from 1993 to 2003. "He was a fresh voice; he had nothing to do with the classical Czech theater," Zizka says. "I suppose you could call it the theater of the absurd: He's interested in creating arguments that make no sense whatsoever. But it was much deeper than that. He [became] a very significant voice in the dissident movement in Czechoslovakia." Havel was in and out of prison during the 1970s and '80s -- which didn't stop him from publishing more than a dozen plays. It was only when he was elected president that he had to put his writing aside. He still struggles to find time for it. "I was looking forward to a time when the public's interest in me would subside and I would have more time to concentrate on my own work," he says. "I wanted to return to the theater, to writing, and it turned out that interest in me did not diminish. On the contrary, it may even have increased. You are president for five years; you're a former president for life. That was something I hadn't really realized before." Plenty of former politicians publish their memoirs, and Havel is no exception. But as Strathairn notes, not many get to use the stage to reflect on politics. "How many of our presidents have written plays that have been produced?" the actor asks. "It is kinda special to have this kind of insight into one man's experience as a leader on the world stage." So far, Havel's career as a politician has threatened to overshadow his work as a playwright. But in the long run, he says, it may be the other way around. "I think that if you are a good writer, a good playwright -- which I'm not claiming to be; that is for others to judge -- then you are not forgotten as quickly as politicians," Havel says. "Politicians come and go; literature remains." The 73-year-old playwright is visiting Philadelphia for the U.S. premiere of Leaving on May 26. In between that and his other obligations, Havel is making time to direct a film version of the play. And when that's finished, he plans to write another one.